Lush Fab Glam Inspired Lifestyle For The Modern Woman: Editor's Faves: Best Beauty Picks! Editor's Faves: Best Beauty Picks! Favorite Beauty Look: Get that perfect for spring or summer young and fresh faced makeup glow with pink blossom cheeks and lips and accent your eyes with a golden liner. 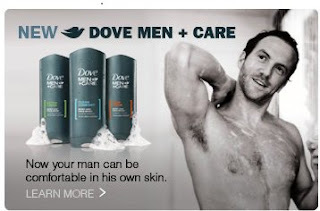 Favorite Men's Skin Care Product: Ladies it's time to pamper your men with Dove's new MEN + CARE skin and bath products. Retails for less than $10 at most drugstores. 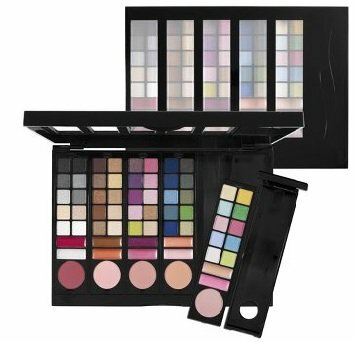 Favorite Beauty Buy: Sephora Cosmetics Collection: 'Color Play- 5 in 1' ($150 value). Contains color coordinated eye shadows, blush and lip gloss. Retails for U.S $29.50. Favorite Nail Lacquer: Aldo recently unveiled their "Nail Lacquer" collection. This budget friendly, 14-piece colorful collection retails for U.S$6. Just in time for spring. Which Editor's Faves have you tried or will try? Leave a comment below. topics talked about in this article? I'd really like to be a part of group where I can get feed-back from other experienced people that share the same interest. If you have any recommendations, please let me know. Thanks a lot!